Crafties! 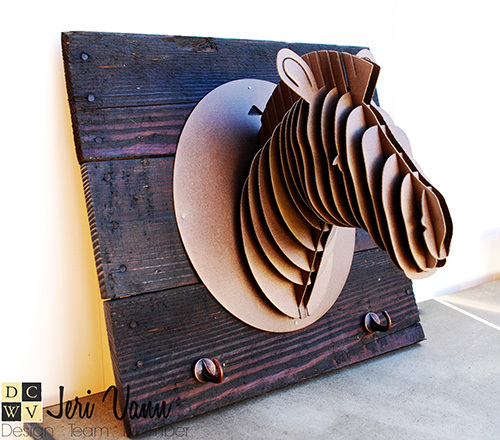 Jeri here... and I have a fun, inexpensive DIY project for you today, that will totally WOW everyone!! You only need a few supplies. 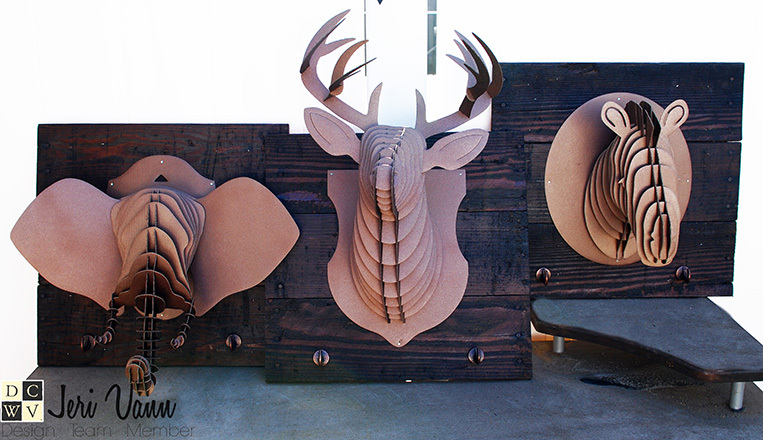 Some pallet wood, stain, spray paint, and some of these darling DCWV DIY Wall Zoo Animal Heads. To get started, cut some pallet wood, secure the boards together and stain them. I made mine 17" x 16", and stained them with dark walnut stain. 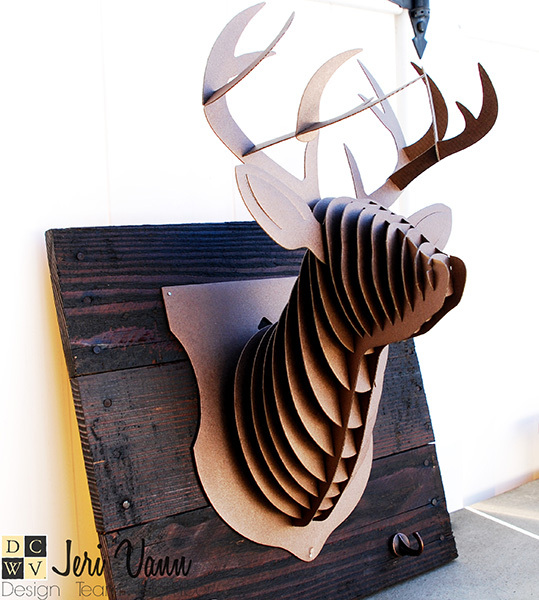 I sprayed the animal heads with some copper metallic spray paint. These heads easily go together, but for some added security I used some glue with each slotted piece. Once they were complete and allowed time to dry, I nailed them to the pallet wood boards with some small nails. I love making gifts that are multi-functional, so I added some copper hooks to the bottom of each decor. 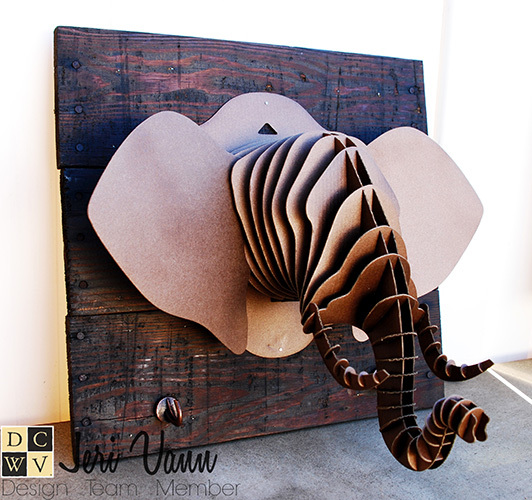 I am in love with these DCWV DIY Wall Zoo Animals, and I am so happy with the finished project. I made these darlings for my baby nephew and I cannot wait to see them hung on his bedroom wall.